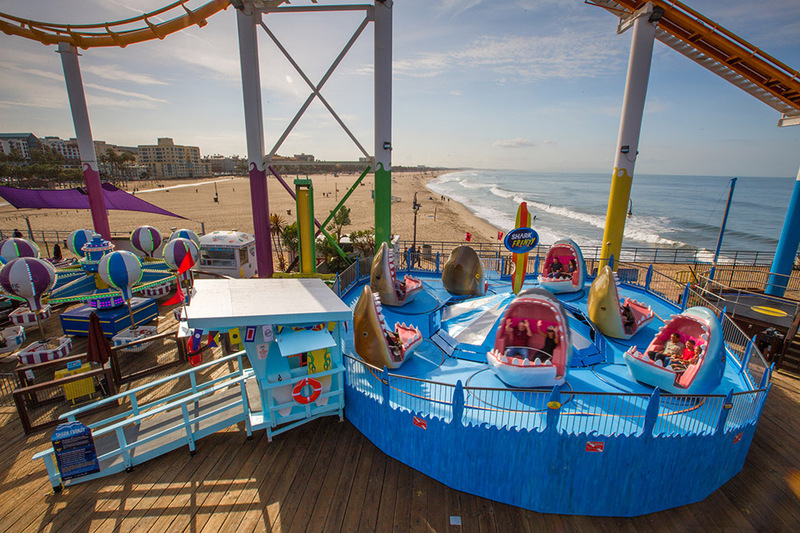 Visit Santa Monica’s Pier Family Amusement Park! 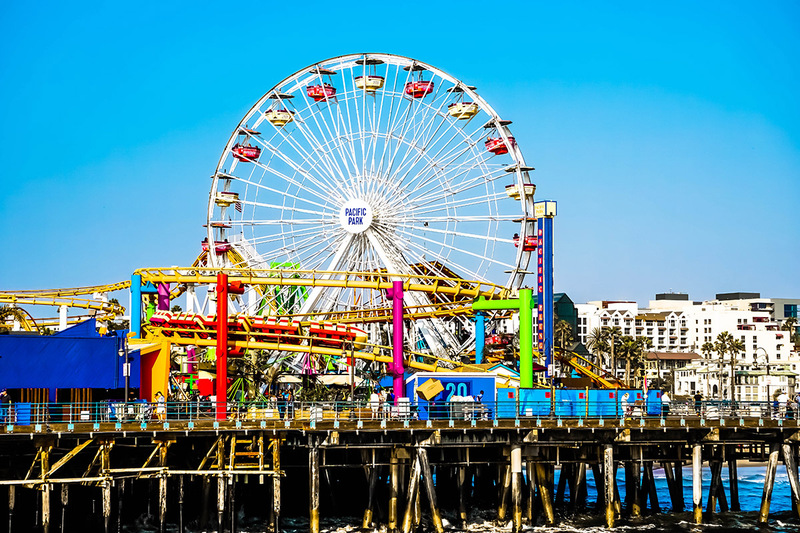 The world’s only solar-powered Ferris wheel gives visitors a panoramic view of the Southern California coastline from more than 130 feet above the Santa Monica Pier. Measuring 85 feet, the wheel moves at 2.5 revolutions per minute with intermittent stops to pick up passengers. Features more than 174,000 energy-efficient LED lights that display dynamic, eye-popping computer-generated lighting entertainment in the evenings. 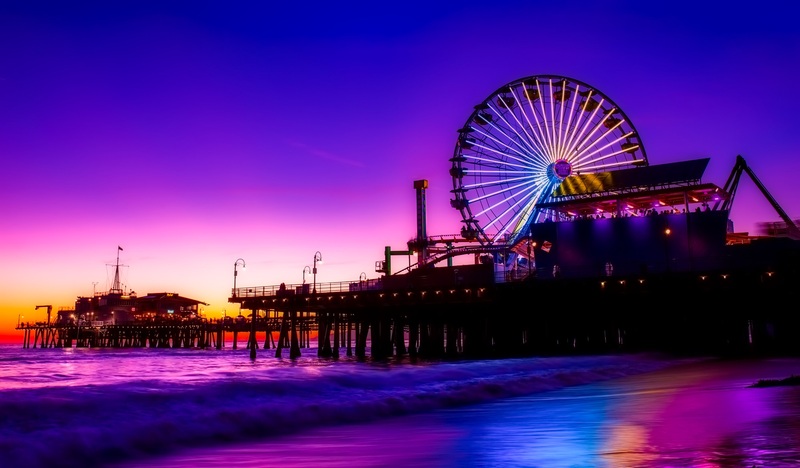 Santa Monica Pier is a Landmark built in 1909. It is a family amusement park for all ages. There's a variety of food, many people enjoy the funnel cakes, Dippin’ Dots, and themed food carts. Many people enjoy the Pacific Wheel, it lights up at night. If taking the hop on hop off bus, you must get on the red route and transfer at stop 7 to the yellow route and get off at stop 57, and then walk to the pier. If you are taking public bus transportation you can use this website for guidance http://socaltransport.org/tm_pub_start.php. If you are driving, parking lot rates range from $6 – $15 (rates are subject to change without notice). Make sure you bring a hat, water, and wear sunscreen even if it’s not sunny outside. It does get windy, so take a sweater just incase. Take as many pictures too!